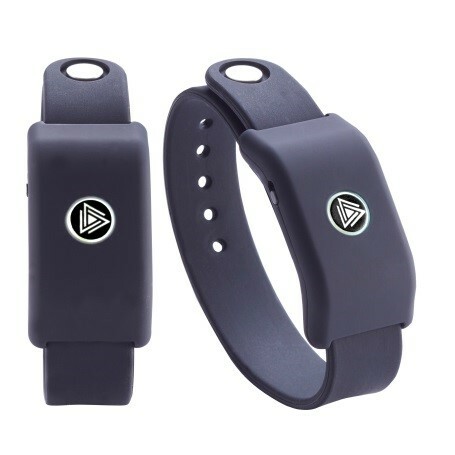 Those who love to dance may be interested in SoundMoovz, a new wearable, motion-activated, musical band. SoundMoovz sends a Bluetooth signal to the special SoundMoovz app on your smartphone or tablet. To operate, simply move your wrist or ankle to create a beat or rhythm which plays through a connecting wireless speaker. You can ever layer your own beat to a song! They were developed by a Japanese tech engineer and dancer named Daigo Kusunoki. 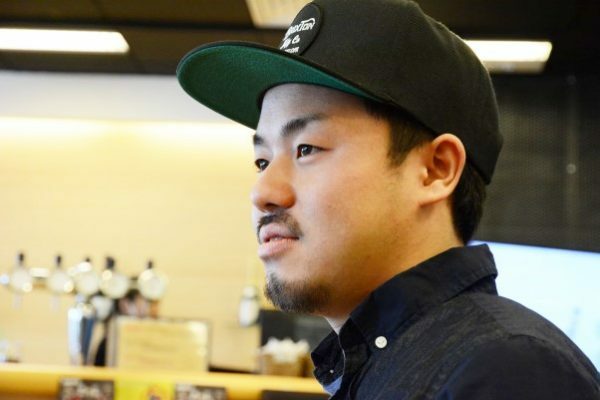 He combined his passion for hip hop with his academic knowledge to develop SoundMoovz. 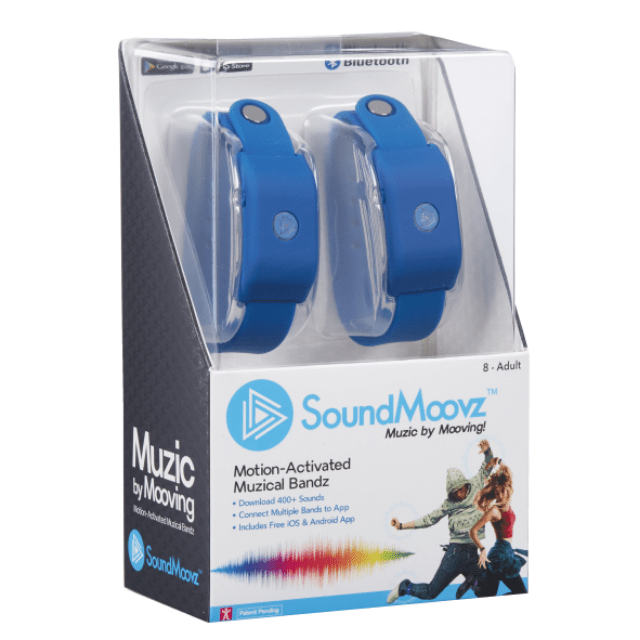 Each pack contains two SoundMoovz bands that use Bluetooth technology to partner with an iOS or Android device using the app. The app has over 400 sound clips and covers a range of genres like hip hop, pop, rock as well as more quirky sounds like Robotics and Kung Fu. With a little imagination you can have some real fun with these! To assist with the launch a SoundMoovz dance crew was put together with choreographer Hakeem Onibudo as their Creative Director. They performed at Stratford’s Westfield Centre at the beginning of July to over 100,000 people at over a dozen performances. 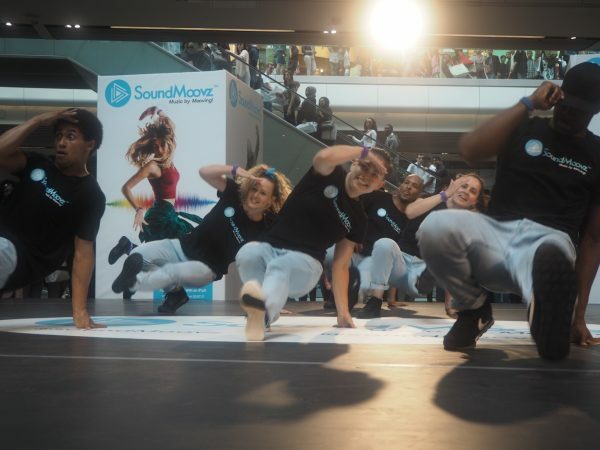 The SoundMoovz brand has also teamed up with Character Options to sponsor Impact Youth which is a youth dance team who will compete at this year’s National Youth Dance Festival in Birmingham between 13th and 16th July 2017. Impact Youth have been finalists in previous events and have also won in the past. SoundMoovz are going to be available from July 2017 in the UK from gadget, tech and toy retailers. They are available for £49.99. To hear more about SoundMoovz, check out their official Twitter page here.